A 2014 image of Donald Trump. President Trump has continued to make immigration a central platform for his presidency. The ACLU claims his rhetoric has inspired groups like the United Constitutional Patriots to confront migrants with guns in legally questionable circumstances. Image from Flickr via Wikimedia Commons/user:Gage Skidmore. (CCA-BY-2.0). President Donald Trump may be contemplating a return to last summer’s highly controversial and poorly-implemented family separation policy. Speculation of the commander-in-chief’s policy reversal has arisen in the midst of Department of Homeland Security Secretary Kirstjen Nielsen’s sudden resignation. Most media sources—including CNN, the New York Times—claim that Nielsen left her post under pressure from the president himself. Even Fox, which put a predictably-less-cynical spin on the story, implied that Nielsen was a “poor fit” for policing the border. The reason, writes The Hill, may be Nielsen’s resistance to the president’s long-shot and controversial proposals. Despite having abandoned the practice of separating migrant families at the border in June of 2018, Trump has purportedly considered reinstating it. Other conservative officials told The Hill that legislators from both sides of the political aisle will oppose a return to family separation tactics. The rumors contradict Trump’s own words on tumultuous border policy. 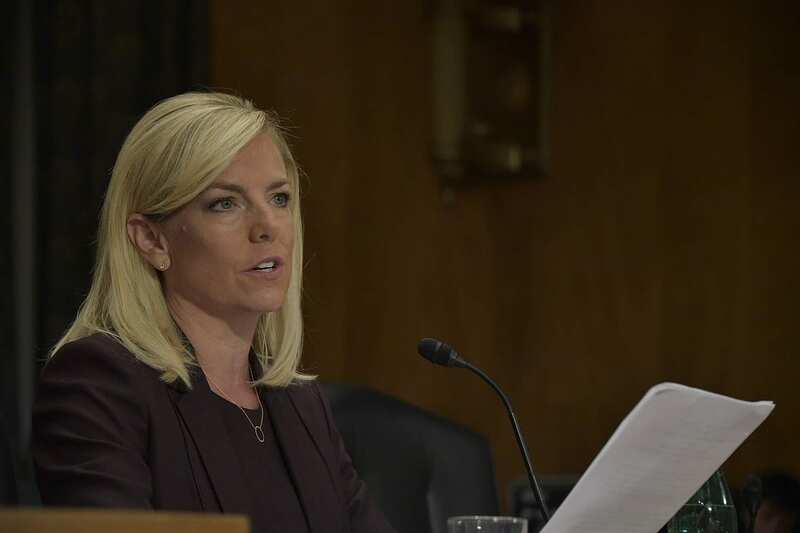 But Nielsen’s refusal to reinstate the policy appears to be the reason she was ousted from heading Homeland Security. Rolling Stone and ABC both note that Nielsen’s reluctance was rooted more in legal concerns than moral quandary—along with being rescinded by Trump’s own executive order, family separation was also condemned and ordered stopped by federal courts. Democrats have already begun speaking out in concern. “As a member of the Senate Homeland Security Committee, let’s be absolutely clear: I will not support a nominee who does not forcefully and unequivocally denounce this administration’s policy of separating families at the border,” said Sen. Kamala Harris, a California Democrat and aspiring presidential nominee. However, Trump’s disagreements with Nielsen seem to have transcended the latter’s refusal to return to poorly-conceived and probably-illegal policy. Late last week, during a high-level meeting in the Oval Office, Trump floated the idea of closing down the El Paso port of entry and then sealing other crossings along the U.S.-Mexico border. Nielsen reportedly tried telling Trump that if he were to close down the border, it’d only harm legal trade and traffic; persons crossing illegally would continue to skirt between crossings. Along with attempting to single-handedly sabotage transcontinental trade, Trump demanded that U.S. agents along the border stop letting migrants in.